Learn how to configure your HIL device to communicate with Modbus protocol. This step by step tutorial will show you how to configure your HIL device to communicate with Modbus Protocol. Why Modbus? Modbus is an open, easy to use and implement protocol. 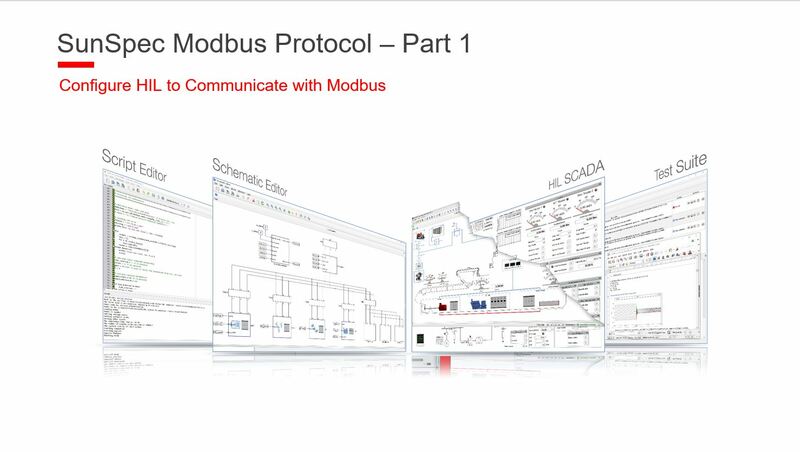 Thanks to its simplicity, the Modbus protocol has become a standard communications protocol in industry, and is now the most commonly available means of connecting industrial electronic devices. It is used widely by many manufacturers throughout many industries. Step 1 – Create new model. Step 2 – Drag and drop the Modbus component. Step 3 – Configuring the server. Step 4 – Connecting the signals. Step 5 – Compiling the model. Step 6 – Reading the simulation values using external application. Copyright © Typhoon HIL, Inc.